Early in Tuesday’s meet at Hansen Dam, Noelle Song heard a quiet chorus of “Oh my gosh,” uttered by her Foothill League counterparts. On a par-4, Song hit a driver that nearly reached the green. 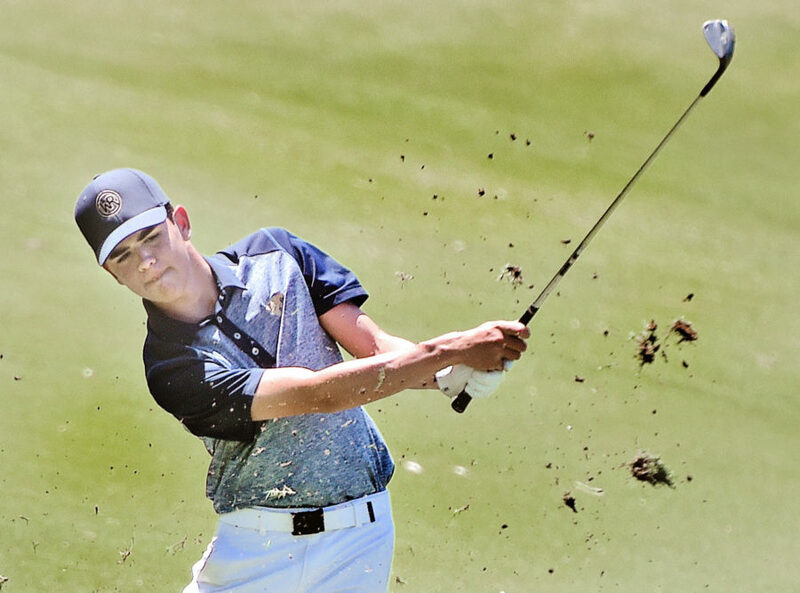 “That was really cool to see,” said the West Ranch golfer. It was a precursor of what was to come for Song, as she shot even-par on the afternoon and took home medalist honors in the second Foothill League meet of the season. In last week’s league meet, Song shared the top spot with Ashley Song of Valencia. “Even though we tied last time, I think that’s what pushed me further to improve on my game today and shoot a good score out there,” Song said. Ashley Song came in second individually, carding 1-over 37. The Vikings’ Sung Park was third at 3-over. As a team, West Ranch was first with a score of 213. Valencia followed with 219 and Hart was third with 230. It’s the second consecutive league meet win for the Wildcats, but that doesn’t mean they’re relaxing. “Of course I love all the teams out there and after we play we all hang out, but definitely there’s also that underlying competitiveness that we all have,” Song said. “…I think it just really motivates us to try our best and get the least amount of strokes out there.” As an individual, Song played in multiple tournaments in the offseason including the Alison Lee Invitational and the Lizette Salas Junior Championship. “It helped me improve upon all aspects of my game, especially during competition,” Song said. “Overall it was good to get out there for the experience of playing with teammates and having fun out there.” Foothill League girls golf continues with the third meet of the season on Tuesday, Sept. 18 at DeBell Golf Club in Burbank.